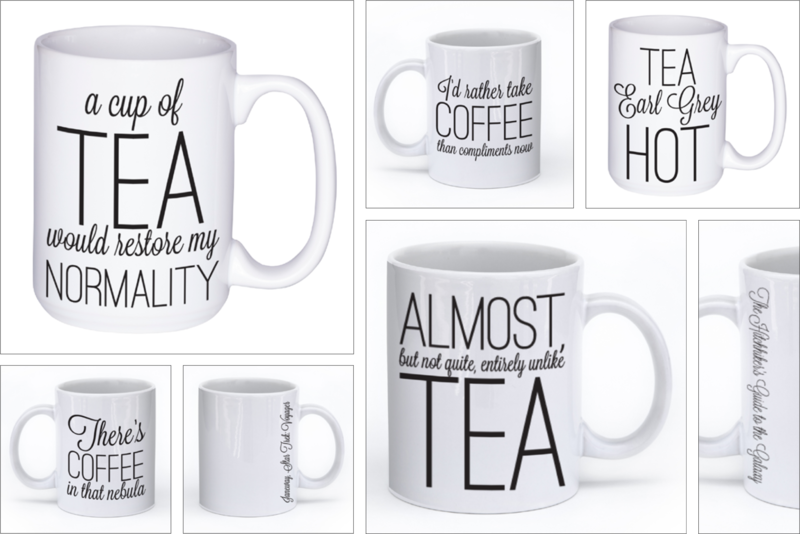 With a growing collection of designs, these mugs aim to give the tea or coffee drinker a special mug for their brew. The source material ranges from classic literature, such as Little Women, to pop culture phenomenons, such as Star Trek. The main designs of each mug can be printed on either side, with the source material on the other along the handle. There is also the option for 11 oz. (average size) or 15 oz. mugs. All of these mugs can be bought at my store.